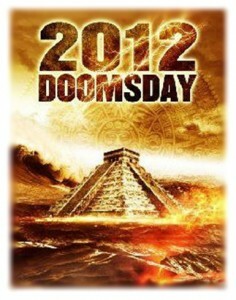 Let's hope the Mayans were wrong. It’s the time of year for lists. Many many lists. Magazines, newspapers, blogs, toilet paper companies, all of ’em are doing their Best of 2011 lists. While I would love to know what the 5 Softest Toilet Papers of 2011 were, we thought it would be more interesting to look ahead to 2012 and talk about the books to be published that we are excited about reading. So, barring that end of the world thing that the Mayans predicted, here are a few books that each Rampant Reads lady can’t wait to get her greedy mitts on. I don’t have to wait long for this one and THANK GOODNESS. They released the first 2 chapters online (you can read them online here) and I am already hooked. The premise sounds a bit grim – girl with terminal cancer finds love – but John’s writing and superb characters will change your expectations and make this not to miss. Plus, he signed EVERY SINGLE PRE-ORDERED COPY, god bless him. Holly is one of my favorite YA authors, as evidenced by my treasured signed copy of Tithe in my intro post. This is the 3rd book in her superb “Curse Workers” series and I can’t wait to see where she takes it. Rothbuss exploded onto the fantasy scene with the first book in this series, The Name of the Wind, in 2009, and his brilliant writing and playing with fantasy tropes made it an instant hit with fantasy fans. I think even folks who aren’t fantasy people would eat this series up. Each book takes place over one day and I am DYING to finish this up. GIVE ME A RELEASE DATE!! 1 Comment	| tags: 2012 List, A Hero for WondLa, A Midsummer Tights Dream, A.C. Gaughen, A.J. Jacobs, Abrams, Ally Carter, Amulet, Black Heart, Born Wicked, Broken Harbor, Diana Peterfrend, Drop Dead Healthy: One Man's Humble Quest for Bodily Perfection, For Darkness Shows the Stars, Holly Black, Jenny Lawson, Jessica Spotswood, John Green, Lauren Willig, Let's Pretend This Never Happened, Louise Rennison, Maureen Johnson, Out of Sight, Out of Time, Patrick Rothfuss, Scarlet, Scott Lynch, Shades of London, Simon and Schuster, Tana French, The Blogess, The Cahill Witch Chronicles, The Doors of Stone, The Fault in Our Stars, The Gallagher Girls, The Garden Intrigue, The Kingkiller Chronicles, The Republic of Thieves, The Sisters Grimm, Young House Love	| posted in Book Reviews, Misc. WARNING – This post is rife with spoilers. Proceed at your own risk, forewarned, etc. A couple of weeks ago I was reading through one of the zillion newsletters in my inbox, and I happened upon a mention of White Cat by Holly Black that said it was about magical con artists. I had heard of this book, but somehow I missed this key piece of information. A YA book about magic and about cons? I couldn’t get to the library fast enough. However, these are con artists who perform magic (or illluuuuuuuusions, as Nate says). Totally different than magical con artists. Obviously. I’d like to start by saying that this was a fun read. I feel that some of the following might make it seem like I did not enjoy this book, and that’s simply not true. I am just a jaded old crone with a tendency to nit-pick. This was kind of a predictable plot, as far as general story arcs go. In fact, Captain Awesome successfully predicted where the story would go when I told her about what I was reading. 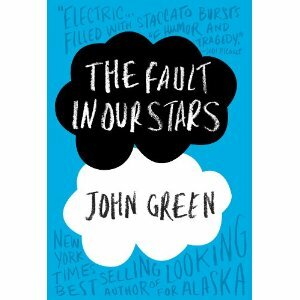 Fortunately, this is a book that is good because of the details and not because of the overarching plot. Needless to say, Cassel begins to feel a little overwhelmed. One, he’s still a teenager, and the added hormones probably don’t help with huge, life-changing revalations. Two, he realizes that his family has known about his ability for most of his life, and they’ve kept it from him. Three, they’ve kept it from him by having his brother Barron modify his memory on a regular basis so that he does not remember transforming things. Four, Barron and their older brother Philip have been using Cassel to perform hits for the mob and to elevate their status as the best hit men that money can buy since they can get rid of the bodies without leaving a trace. Five, Cassel did not, in fact, kill Lila. Barron and Philip tried to make him kill Lila and he transformed her into a cat instead, hoping that she would escape. Unfortunately, they caught her and kept her in captivity for years (also forced to do their bidding. She is a dream worker, and she modifies dreams to suit their needs, mostly to make marks sleepwalk outside so that they’re easy to pick off) until Cassel figures things out and changes her back. SO MUCH DRAMA. And, to top it all off, his emotion-worker mother tries to make it up to him by working Lila and making her love Cassel, which he does not appreciate. It’s all very exhausting, and understandably so. I will definitely be picking up Red Glove to see what happens next. I hope that Cassel gets his revenge on all of them. And that Lila gives nightmares to Barron and Phillip. No rest for the wicked.